Gosset: The 2016 Vintage, How to Blend Wine & Gosset ‘Personal Cuvée’?! Odilon de Varine is a no-nonsense winemaker. 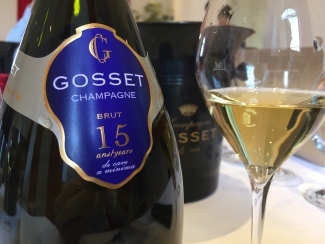 With over 10 years experience at Champagne Gosset as deputy managing director, he assumed the role of cellar master just 9 months ago following the untimely death of Jean-Pierre Mareigner (whose reign spanned over three decades) and appears to have taken the appointment in his stride. Looking more like a multitasking French father of four rather than Chef de Cave of the oldest house in Champagne, he greeted us in casual wear, keen to begin the tasting. He gives the impression of a hands-on winemaker who prefers time spent in the winery amidst the barrels, tanks and other tools of his trade, rather than on front-of-house marketing. A carpenter of wine, Odilon’s passion as a creator is clear and there is something humbling about his reluctance to forcibly impress his knowledge upon others. 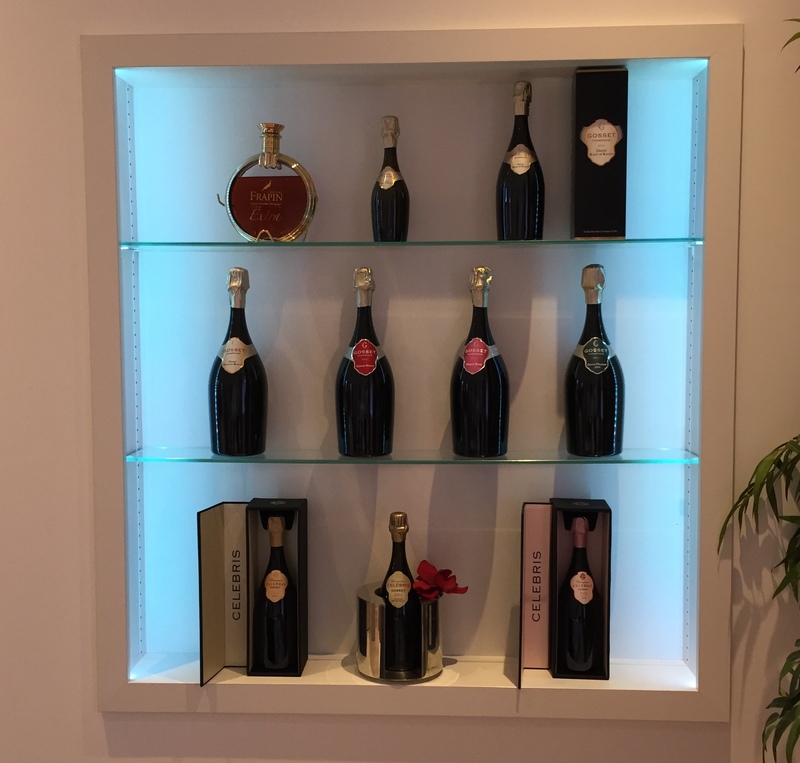 We visited the winery in Épernay immediately following a tasting at Moët et Chandon. The scale of operations between the two couldn’t be more contrasting – now producing 1.3 million bottles annually, Gosset has grown considerably since new management took over in 1994 – but compared with Moët’s 30 million bottle production, Champagne Gosset is still a relatively small house. Exporting 30% of their Champagne to over 70 countries, this smaller production allows Gosset to concentrate on quality rather than quantity. 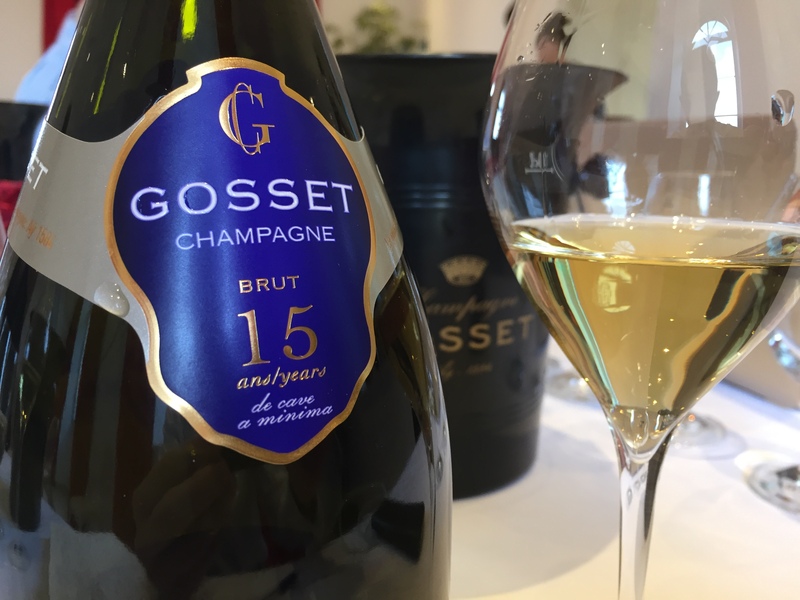 Odilon’s straightforward approach suited us just fine – we visited Gosset with Essi Avellan MW during the middle of our busiest day in Champagne and consequently had less than 2 hours to taste the base wines. After a brief introduction to the 2016 vintage, Odilon informed us he’d selected 10 of the 162 base wines for 2016 for us to taste – one Pinot Meunier, one blend of PM and PN, three Pinot Noir’s and five Chardonnay’s. When tasting Vins Clairs, Odilon is characteristically efficient. 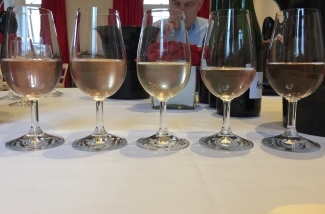 “When it comes to blending, you are balancing many factors… it is difficult if you have too many words,” he told us. 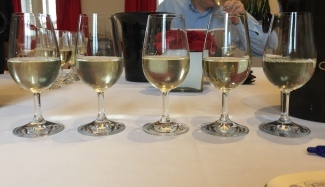 Therefore when tasting base wines, he is making just four main assessments at this stage. “We are looking at freshness, attack, length and body… rating them high, medium or low,” Odilon explained. Loads of strawberry and quite delicate. Lovely peach in the background. Loads of fruitiness on the nose and great acidity. 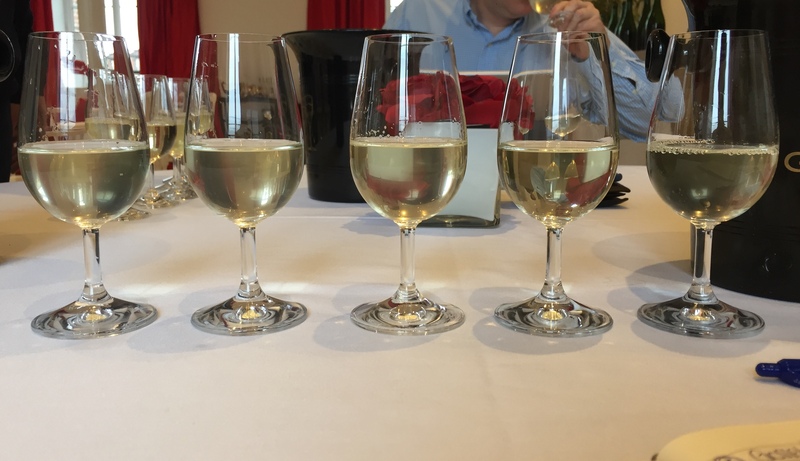 A mixture of PM and PN – new theory of blending the Cru rather than the grapes. Hint reductive at present, good mid-palate and loads of richer fruits like cherry and blackberry. Medium length. so the colour was absorbed by the Chardonnay lees making the wine a bright golden yellow already. Hints rather than buckets of peaches and apricot. Loads of strawberry and packed with fruit. Underwent batonnage. Quite meaty and rich on the nose with black fruit evident. Delicate but very high quality. Great mouth-feel. Very ripe fruit when brought to the press, so relatively untreated – just pressed and left to ferment. Has wild strawberries and incredible acidity. Lots of experimentation going on here. One of the few Chardonnay vineyards from the Pinot dominated Montagne de Reims. Incredible freshness. Seems quite soft already and offers so much ripe apple. 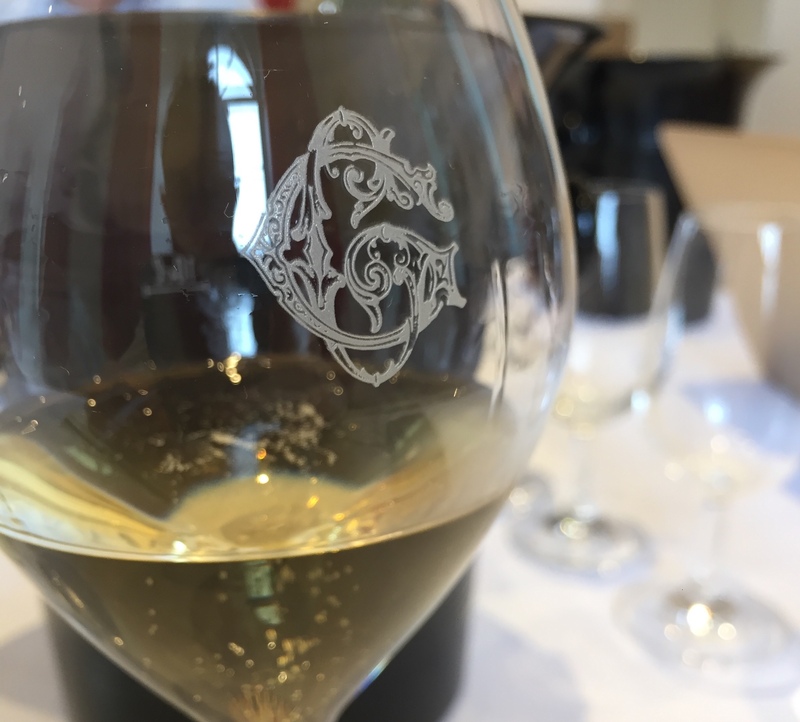 Really great mouth-feel – 10% is used in the Blanc de Blancs. Loads of apple and pear, some lemon and lots of richness. Very expressive nose! Like burnt oak – very toasty and smoky, a real richness again here. Round and fat, this has great structure. Lots of acidity and a slight saltiness. Really razor sharp – could drink this now! Hints of pear and apple, this is complete and compact. Also very good. 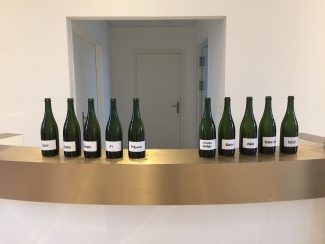 Once we’d tasted all of the base wines on show, Essi decided to test her hand at winemaking and blended her own cuvée with the wines available. Using a generous weight of Mesnil and Avize, her blend was Chardonnay dominant and whilst not bad, it was a little soft for Odilon’s liking. This prompted Odilon into spontaneous assemblage, creating a blend faster than we could record the ingredients. With ease, he created a wine with great structure and elegance – one he mused was for ageing. This was a fun experiment and a practice Essi adopted at later tastings. 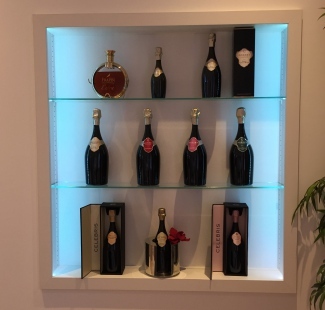 Odilon eventually revealed it was actually an experience Champagne Gosset will soon be marketing to consumers – the opportunity to create your own personal cuvée! 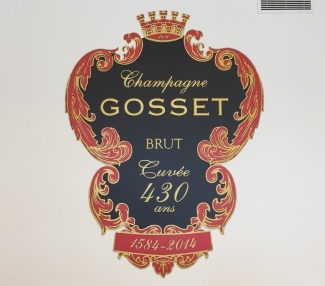 A great idea, but one that will come with a cost – a minimum of 40 magnums must be ordered and whilst jeroboams can also be made, Gosset will not be offering smaller formats (bottles or half-bottles) to be produced. Once we had concluded the base wines tasting, Odilon opened a bottle of Gosset Celebris 2004. 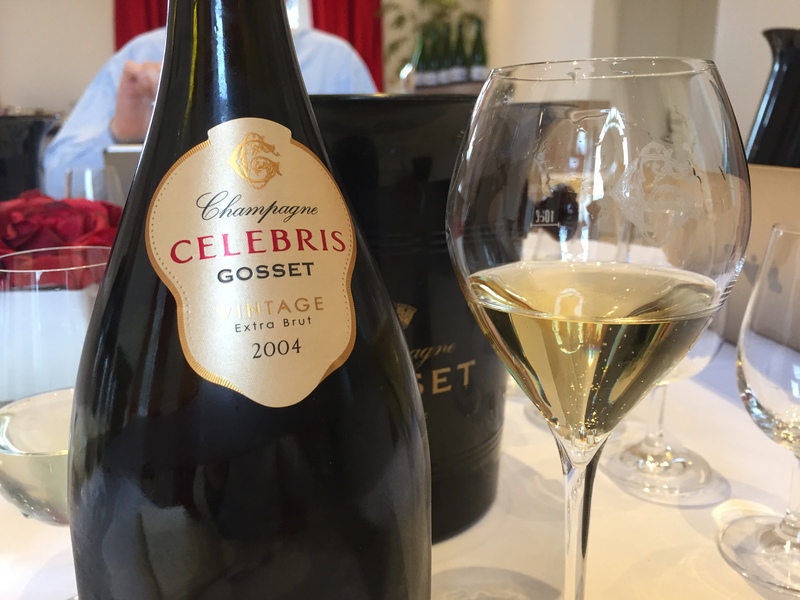 This has been an Extra Brut since 1998 and the 2004 has just 5 g/L of residual sugar. Explaining this move, Odilon revealed the dosage was reduced to add extra balance to the wine. 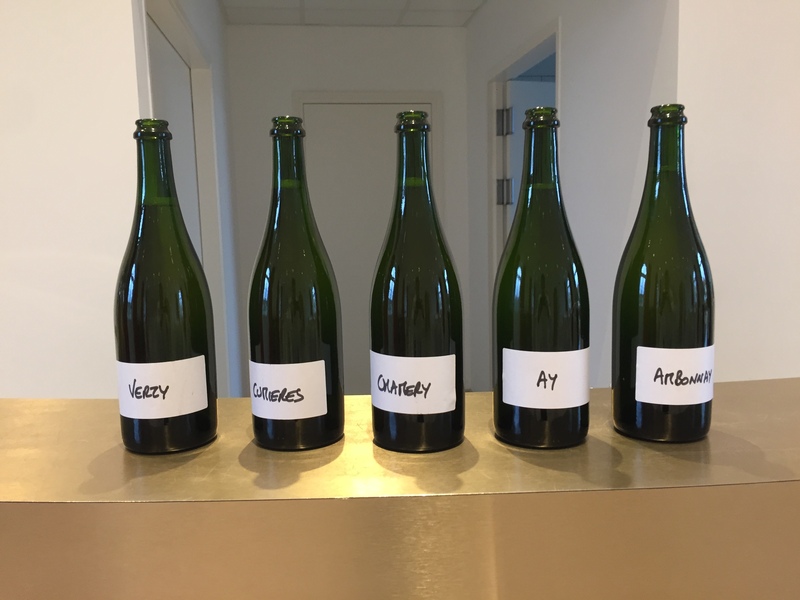 Currently, dosage levels at Gosset are decided by blind tasting. Varying amounts of dosage are added, the blends are blind tasted and the perfect sugar content is decided upon. The bottle we tasted was extremely buttery with lots of lees character. Loads of peaches and cream and cooked apple came through with time and the initially bright acidity started to seem quite soft. Dosage seems spot on and precise; this isn’t just an Extra Brut for the sake of it. Whilst reluctant to tell us exactly when, Odilon did say that the next vintage of Celebris will be 2006 and it will be released with 2004 still in the market. We then tasted a bottle of previous winemaker Jean-Pierre Mareigner’s creation, Gosset 15 Ans de Cave NV. Cellared in 1999, the blend contains various different vintages, the identity of which the house are very protective over. Only 5,000 bottles were produced and only a few hundred were expected to be released to the UK market. Interestingly, Odilon seemed unhappy with the first glass poured and decided to decant it into a carafe. Pleased that he did so, he commented that the second glass was much more open and revealing. This champagne has a deep gold colour, is very light and fresh with wonderful flavours of apple and marzipan. It’s worth noting the improvement when decanted though, champagnes like this that are slightly reductive in style can be significantly better when allowed to aerate in a carafe. All in all, a remarkable visit to a Champagne house with big plans for the future. 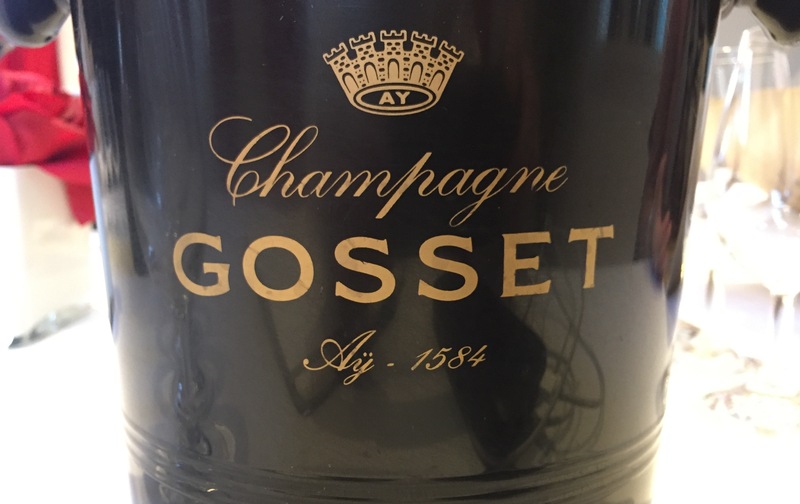 Exciting new developments and ongoing experiments will no doubt ensure Champagne Gosset continue to grow in both quality and stature. 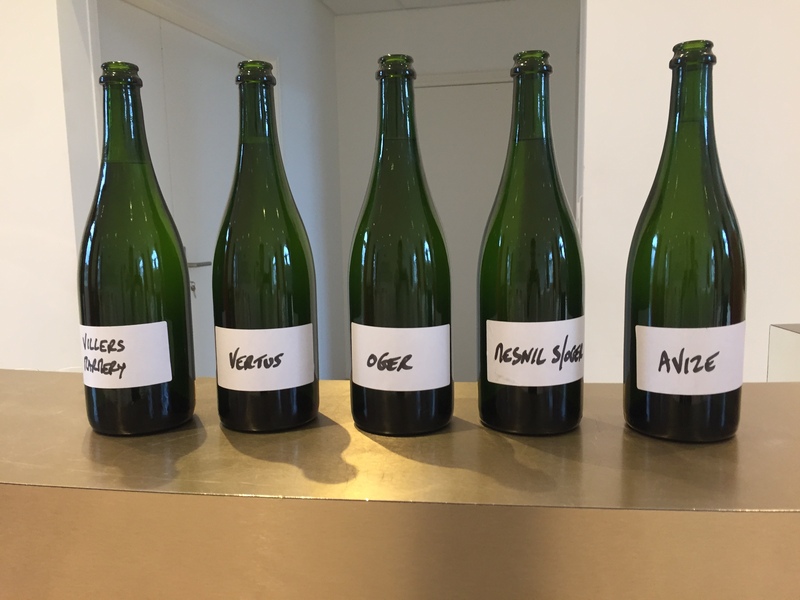 With a unique take on the 2016 vintage and an interesting philosophy on champagne production, Odilon truly is a winemaker like no other. 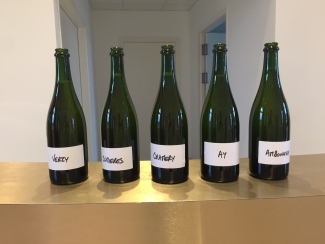 As 2016 is the first vintage over which Odilon has held the reins, it will be a few years before we get to taste champagne produced solely under his stewardship – but it will be fascinating to see how his influence affects Gosset champagnes in the future.